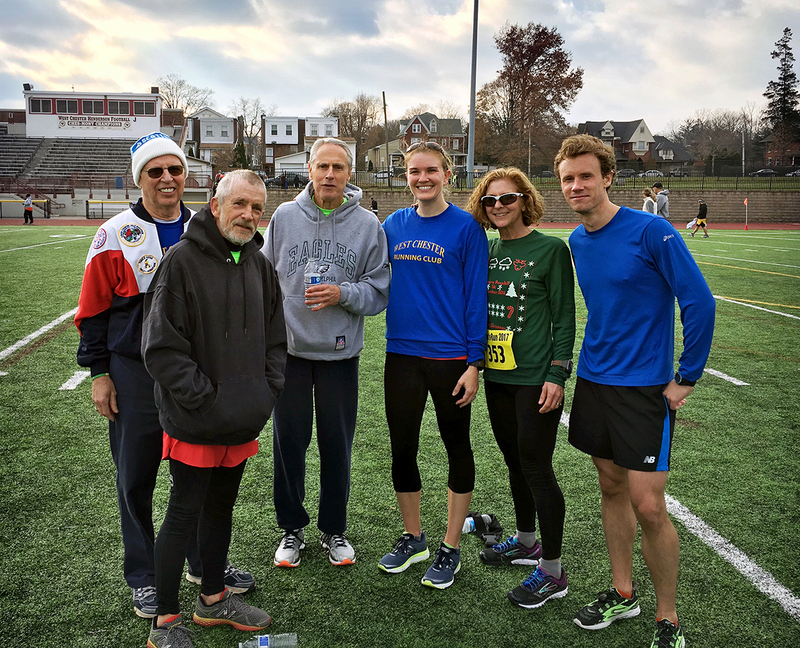 West Chester Running Club – Running West Chester since 2000. Running West Chester since 2000. Tuesday Track Workouts have begun! 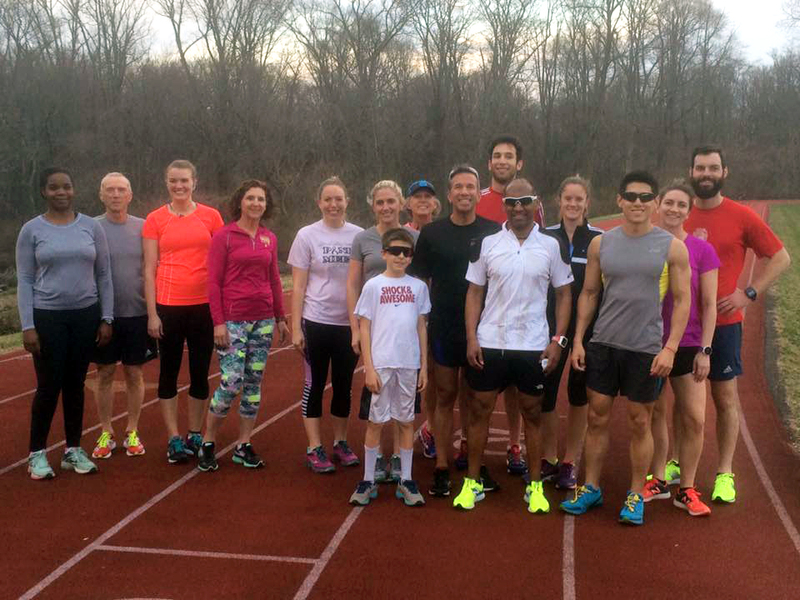 Join WCRC at the Westtown School’s track on Tuesday nights at 6PM for a speed workout. New to speedwork? No problem! Club members will be happy to explain the ins and outs of running intervals on the track. Details of the workout will be announced in advance by email and on Facebook. Weekly group runs leave from the front door of the YMCA on Chestnut Street every Saturday at 9AM. All paces are welcome!! The route typically goes to West Goshen Park (5-6 miles) with options to add on or reduce mileage as needed. Please check Facebook or the WCRC email list if you have any questions about a Saturday morning run. West Chester Running Club hosted our annual spring Bakery Run on Saturday, March 23rd. 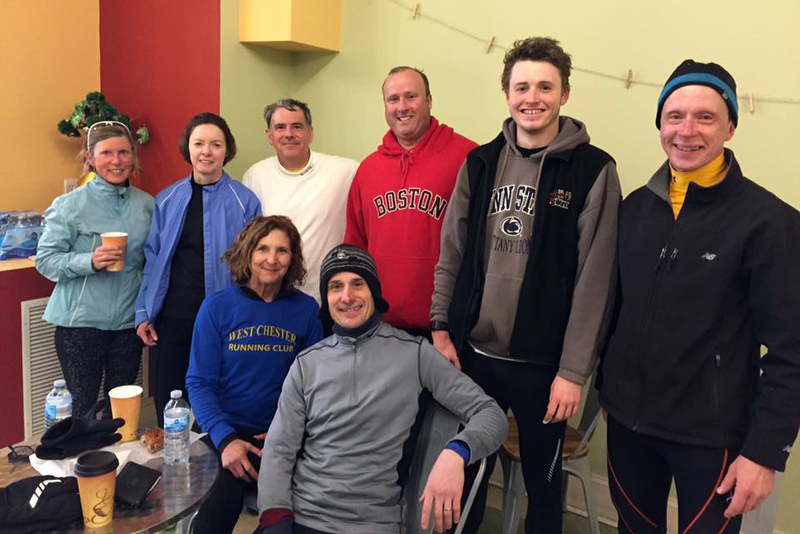 Several brave runners endured the cold and blustery spring weather and enjoyed fresh donuts and coffee at Yori’s Bakery after a run around the borough. WCRC hosted a hot chocolate station (with whipped cream!) near the corner of Biddle and Matlack during this iconic West Chester race. Thank you to all of the club members who came out in the dreary weather to race, cheer and volunteer! Our annual holiday party was held on December 7th. Club members enjoyed delicious food and great company. Thank you to our hosts, Dan and Marie Holland!